My book review of Richard Barnett’s book as appeared in The Washington Times, December 13, 2012. If you have been waiting for an appropriate chaser to Mark Kurlanksy’s “The Big Oyster,” Richard Barnett’s “The Book of Gin” might hit the spot. 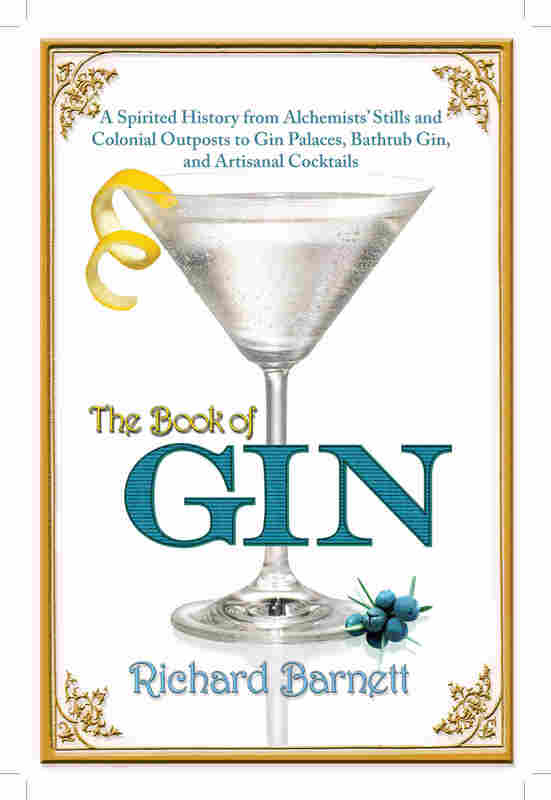 While neither a rival to the glamour of “Boardwalk Empire” nor to the practical knowledge of a Mr. Boston guide, Mr. Barnett’s book is likely to stir the interest of many gin enthusiasts. The proportions of this volume disguise its author’s designs on providing a globe-trotting epic chockablock with historical particulars. The book establishes the surprising sweep of gin’s history and influence, linking the juniper spirit to everything from Arabian alchemy to Dutch traders, British painting, Spanish malaria treatments and American Prohibition. Start to finish, the book is dedicated to understanding how gin came to be and how it has evoked competing, even contradictory, meanings over time. What counts as gin encompasses any un-aged, “neutral spirit flavored principally (though not exclusively) with juniper” and “distilled at least twice — once or more to produce the base spirit, and once or more with juniper berries and other botanicals to develop the flavor.” The flexible definition of gin itself is half of the explanation for how “The Book of Gin” can tell so many stories on so many continents about so many different kinds of alcohol that were each known as gin at one time. The other half of the explanation for the polyglot character of this book is Mr. Barnett’s appetite for tracking down as many origin stories and historical tidbits as possible. Chapter One, for example, separately traces the story of spirits and the story of juniper long before those stories intertwined. In the process, readers learn about 16th-century understandings of disease, the association of midwives with distilled spirits and the consumer revolution of the Dutch Golden Age. In this chapter and others that follow, Mr. Barnettdisplays impressive intellectual dexterity. It can be a challenge, however, to follow the main idea of each chapter in the face of such an onslaught of information. Mr. Barnett’s research is fairly astonishing. With every few turns of the page, he conjures up obscure primary sources to illustrate gin’s genealogy. Drawing from acts of Parliament, temperance tracts, Gordon’s Gin advertisements and Hollywood films, Mr. Barnett punctuates his tale with the language and imagery of the many eras of gin’s history. The prologue is an example of the author at his best. He uses both 18th-century British court records and a well-paced narrative voice in order to unfold a criminal trial with a fascinating “the gin made me do it” defense. This deft combination of storyteller and historical expert appears now and again throughout, yet the overarching tone of the book ultimately settles on something rather more professorial than the introduction lets on. As any cocktail drinker knows, proportions can be crucial. So it goes with “The Book of Gin.” For my taste, I would have preferred things a little lighter, particularly on the front end. In the first three chapters, Mr. Barnett gives readers a roughly 400-year history of distilled spirits, juniper, apothecaries, potentates, social mores and drunkards. In the process, he fills 101 pages before dealing with the early 19th-century birth of London-style dry gin (the version of the beverage recognizable to today’s cocktail drinker). The chapters are often so full of specifics that they threaten to overtake our beloved main character, gin. They also threaten to drown out the voice of our author. Mr. Barnett repeatedly displays an overenthusiasm for long quotes: Chapter Three contains 11 block quotations from Charles Dickens alone. A telltale sign of Mr. Barnett’s love for obscure facts — even if that love interferes with engaging readers’ interest — is the title of Chapter Four. Who could guess that “From Cinochon to Martinez” is the chapter that unfolds the stories behind famous gin drinks like the gin and tonic, gimlet and martini? Mr. Barnett does an admirable job organizing the chapter around the medicinal hopes and apocryphal tales attached to Rose’s lime juice and Angostura bitters. He somehow couldn’t keep from naming the section after the rare bark from which quinine is rendered. While some readers may like their history straight up, others are likely to find this approach a bit stiff. Thankfully, the professorial tone begins to give way in the last three chapters. In them, Mr. Barnett covers the reasons certain gin drinks took hold, the mixologists behind particular cocktails, and the ways Americans — from crooked Prohibition agents to cocktail party hostesses — left their imprint on gin culture. The material is still at times political, historical and even scientific, but it is also less densely presented and more conversational in tone. In the end, “The Book of Gin” proves no more or less uneven than gin’s own history. Ironically, the second appendix — its very existence a testament to Mr. Barnett’s professorial thoroughness — is where the voice of a fellow gin-lover finally surfaces. It offers a selective review of a range of gins, their botanicals and the cocktails for which they are best suited — the sort of information which I suspect many readers crave from a specialist on gin. It is also the section where I, at last, met the Richard Barnett with whom it might be awfully fun to have a drink.